Photographs of 15mm World War Two miniatures. 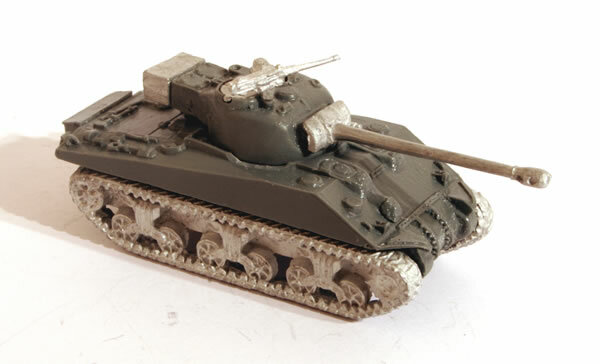 Reading the army lists I realised I needed a Sherman Firefly either to accompany my Shermans or my Cromwell IVs. 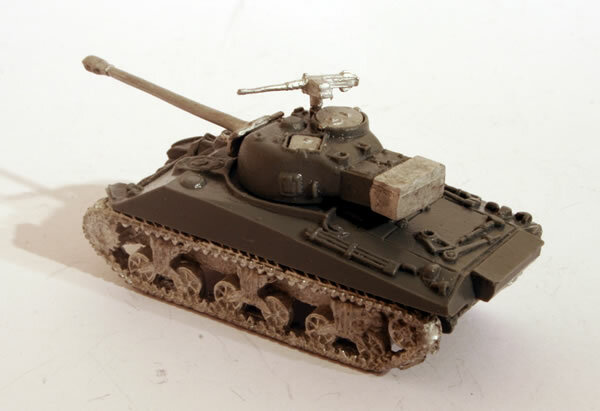 The Sherman Firefly was a World War II British variant of the American Sherman tank, fitted with the powerful British 17 pounder anti-tank gun as its main weapon. 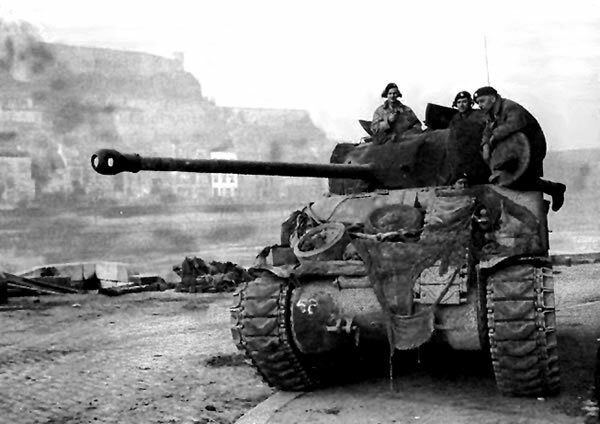 Originally conceived as a stopgap until future British tank designs came into service, the Sherman Firefly became the most common vehicle with the 17 pounder in World War II. Though the British expected to have their own new tank models developed soon (and were loath to consider using American tanks), British Major George Brighty championed the already-rejected idea of mounting the 17 pounder in the existing Sherman. With the help of Lieutenant Colonel Witheridge and despite official disapproval, he managed to get the concept accepted. This proved fortuitous, as both the Challenger and Cromwell tank designs experienced difficulties and delays. 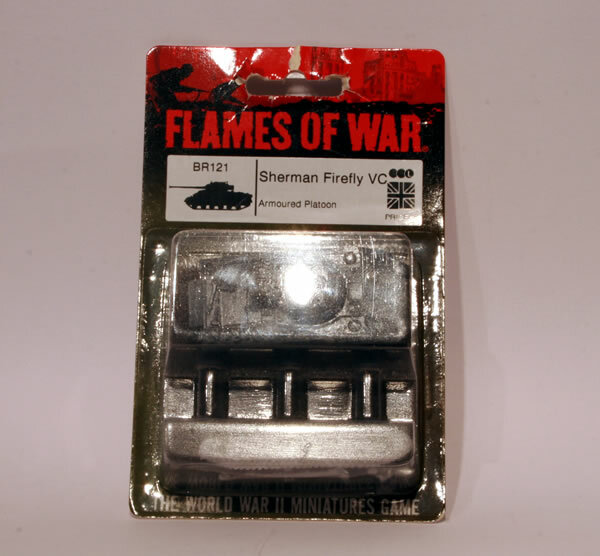 After the problem of getting the gun to fit in the Sherman's turret was solved, the Firefly was put into production in early 1944, in time to equip Field Marshal Montgomery's forces for the Normandy landings. It soon became highly valued as the only British tank capable of defeating the Panther and Tiger tanks it faced in Normandy at standard combat ranges. In recognition of this, German tank and anti-tank gun crews were instructed to attack Fireflies first. 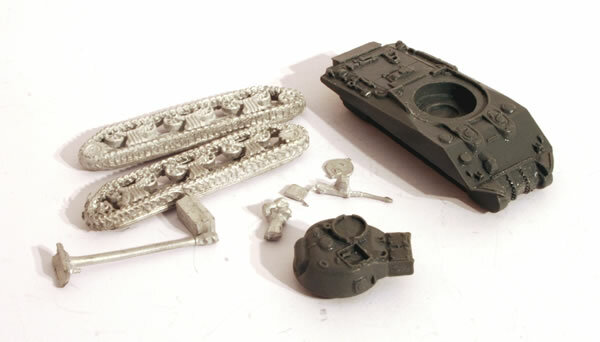 Within the blister, as with a lot of FoW models, you get a resin hull and turret and metal tracks and accessories. The model does go together quite easily, though you have to watch as the main weapon (well mine did) needed straightening. I was also concerned if the HMG on the turret would stay during a game, so I did drill the hole it goes into.